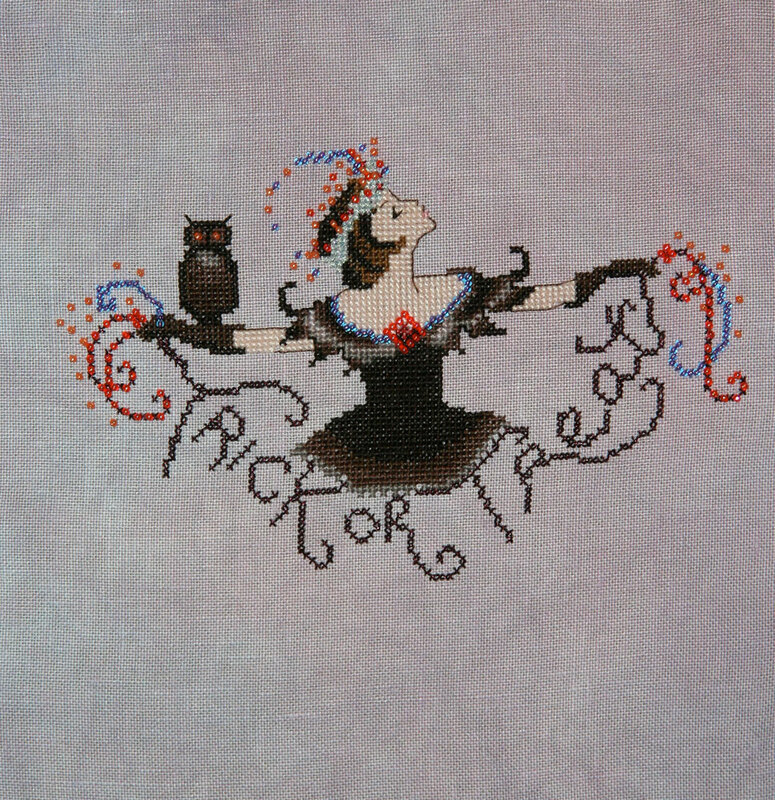 Not a whole lot of progress, but she's gotten some backstitching and some beads since the last image I posted. this new Nora Corbett's chart is sooo beautiful, but here in Italy it's unfindable. please, can you send me by e-mail a copy of this chart? I can repay with one of mine Nora Corbett's charts. The one with Halloween Fairy is September 2008. Can you send me an email where you found this Halloween fairy chart. Was it from Just Cross Stitch magainze Halloween 2008? I love it. I hope I can get it.